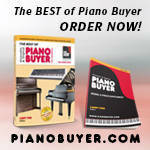 Register Log In Piano World Home Page Forums Piano Forum MY NEW PIANO or KEYBOARD! - Share Your Story! We've just welcomed two new Kawais into our home! 67 registered members (Animisha, atcsam, A. Lucato, Charles Cohen, Bett, Anticlock, akc42, 14 invisible), 1,253 guests, and 4 spiders. I haven't posted for about three years, when I asked for advice about a purchased used piano. 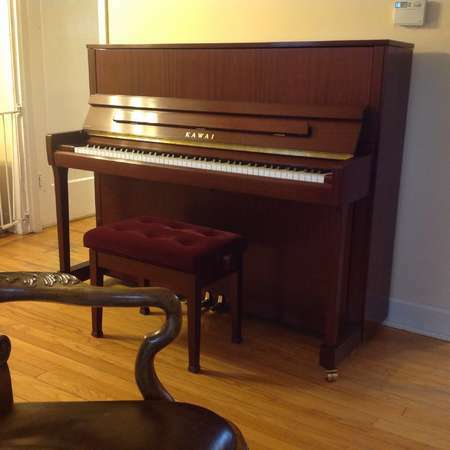 The advice that I received here (in the forums and via private messages) were very much appreciated and allowed us to make an educated decision on how to proceed... We ended up returning the piano. Unfortunately, that experience left me feeling completely overwhelmed by choosing another piano, which dealers were reputable, how to make a decision that wouldn't be regretted once the dealer's warrenty expired... I can't even count the number of pianos that I tried -- but it seemed that each dealer that I visited spent a good amount of time "trashing" all of the other dealers in our area; and while I played many fine pianos, new & used, I completely lost trust in any of them and simply got overwelmed. Anyway, we welcomed into our home a new Kawai K-300 this week! 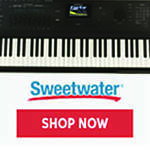 The dealer that we purchased the K-300 from essentially gave us a new Kawai CA-65 Digital. 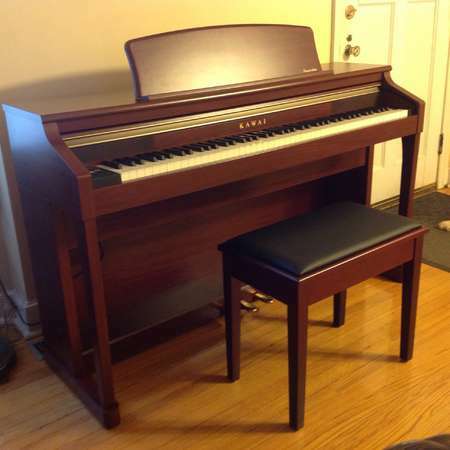 (The cost of the two pianos ended up being less than our local dealers were able to give us for their floor model K-300's, in finishes that were not compatible with our existing furnishings...) These two look like they were made for our home! I feel such gratitude towards this dealer - (we traveled out of state to his store). I'd forgotten just how much joy playing a lovely instrument could bring to me. And I'm having such fun bouncing back and forth between the two! I think both will be well used. Your forums are such a wonderful resource. Last edited by KBS; 04/22/15 06:41 PM. Wow is all I can say. Very nice. Hello Mrs KBS, after reading your last post it's great to hear that you have finally got the piano you wanted. It was amazing that you got the CA65 also, now you've got the best of both worlds. Because you got a great deal, maybe you should give the shop a mention, if that is permitted on the forum. It would certainly help other people make their decision. To moderators, if it's not ok to name the dealer, then I will happily remove the mention, but we made our purchase from AdamsPiano.com in New York. I believe that the owner was in the process of reducing some inventory due to a store relocation. We made the trip to his store specifically to see his K-300 piano and to meet him. When we told him that we wished for a satin mahogany finish, he was able to locate one for us. I am not comfortable stating how much we paid, but his verbal quote to us, for a new satin mahogany K-300, new mahogany CA-65, the two benches, with delivery to our home, was less than we were able to negotiate for a black K-300 floor model at the dealers here. The only thing that he did not offer, (that was consistently offered by dealers closer to our home), was a limited number of tunings, but this was not an expectation of ours, because we do not live near his business. We could not be more pleased and would whole-heartedly recommend his business to anyone looking for pianos in the US tri-state region. Congratulations KBS, we're always thrilled to see a new piano owner, and in your case a new owner of two pianos! Thank you for posting about your pianos, and for providing pictures. I'm happy to see that our forums were of some help to you. 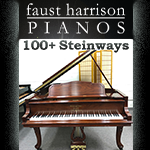 All the Best to you and your family for many years of enjoyment from your new pianos! I'm happy for you, Glad to hear there is a dealer in New Paltz, NY--and a very good one for you at that. I'll check it out next time I'm there. It is great to read about your happiness with your new K300 and CA65, and also the positive experience you had with the Kawai dealer. I work for Kawai in the UK, but it is always very rewarding to hear of our pianos bringing pleasure anywhere in the world. Enjoy playing, and thank you for sharing your story! I work at Kawai UK but any opinions expressed here are my own, and drawn from many years of playing the piano and working in a multi-brand piano sales department.